All three PHASE locations offer contracted transportation through Arrowhead Transit. This prominent company utilizes spacious 22-passenger buses for a smooth and safe ride to and from work. 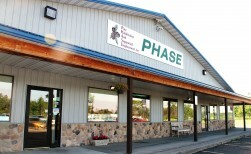 In addition, PHASE operates a fleet of vehicles driven by trained staff members.